I've had plaid and tweed on my mind for the past few weeks and can't wait to get my hands on some very soon. 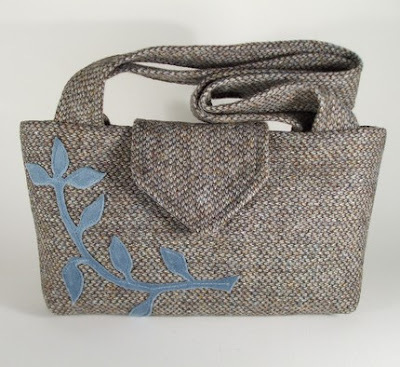 Last year I made a few purses using a gorgeous Harris Tweed wool, see photo below, that I purchased at my local fabric shop in the East Village. 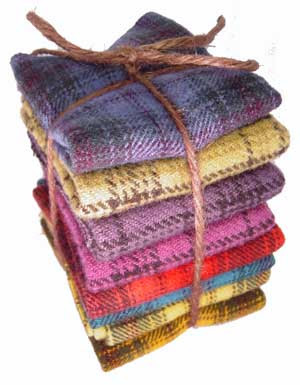 I have some ideas for purse designs that I plan to create in the next week or so using plaid wool and tweed. I am also thinking of a plaid wool and corduroy combination. I'll be posting a sneak preview soon. Stay tuned! Very nice design and great colors ! Oh my goodness, I'll be in trouble if you come out with any new messengers in those fabrics. I can hardly resist the new red corduroy bag you just put up. It's beautiful! 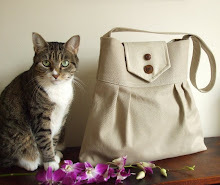 I love the tweed bag! Such a nice chunky pattern of the fabric, and the delicate blue branch. Awesome! 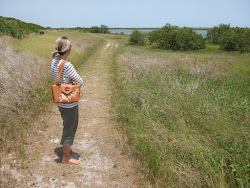 Fantastic idea to make plaid bags! They will look mighty cute & stylish! How fabulous! Can't wait to see what you whip up with the plaid and tweed! Lovely , beautiful and hot design from your heart !